“Energy in Synergy,” StoneWind’s unique paradigm of healing, brings together ancient and modern energy modalities that, when used together act in “synergy” to restore, promote, and maintain health. There is no single synergistic approach as each situation is different, with its own contextual needs. Fortunately there are a lot of tools in the healing tool box. For that reason everything we use and teach at StoneWind is complimentary with western medical treatment, and can be, should be used in conjunction with whatever aspects of western medicine are needed and available. Maximum synergy requires we use all the tools in the tool box. 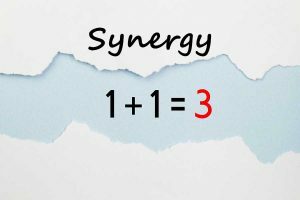 The concept of synergy, i.e., two or more things acting together are more powerful than either one is alone, is one of the most important concepts to understand and use in 21st century healing. Why? Because whatever health or illness you are experiencing is the result of the synergy of all the influences acting in your life–good and bad, past and present, moment to moment. “Energy in Synergy” is our term for a format that brings together ancient and modern healing modalities that when used together act in synergy to restore, promote, and maintain health. Everything we use and teach at StoneWind can be–should be–used in conjunction with whatever aspects of western medicine are needed and available. For maximum synergy, use all the tools in the toolbox. Traditional Reiki (ray-key) is one of the central modalities we offer at StoneWind because it is a highly effective healing tool that is easy to learn, simple to use, excellent for reducing stress, inducing relaxation, controlling pain, and promoting healing, health, and well being in both practitioners and recipients. In addition, Reiki is powerfully synergistic with Qigong. To have and use Reiki, a person needs to do nothing more than be attuned by a properly trained Master and have the intent for Reiki to flow whenever they put their hands on themselves, someone else, their pets–or anything living. It is that simple—and everyone can do it. Reiki is not a religion. It has no arcane dogma, no religious tenets. It requires no rigorous ascetic practices or rituals. Anyone, everyone can enjoy the benefits of Reiki in their life. The Synergy of Qi: Qi (chi), the mysterious universal life force, has been called by many names throughout oriental and indigenous cultures. 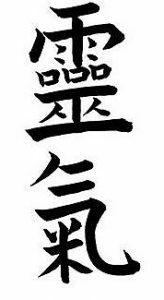 The Japanese call it “ki,” as in “Rei – ki” and “ai-ki-do;” the Chinese call it “qi” (“chi” in English) as in “qigong” and “Tai chi (taiji)”, short for “t’ai chi ch’üan (taijiquan),” but by all its names across Oriental cultures, the loss of qi/chi/ki is seen as directly related to illness, aging, and death, while healing and longevity is created by replenishing the qi/chi/ki. our own qi/ki anywhere, any time. Qigong (Chi Kung) meaning “to work or exercise that vital life force of qi (chi/ki),” or “to acquire qi/chi ” is the 4000 year old Chinese system of self-healing exercises and deep breathing techniques that emerge from the ancient understanding of the universal life force known in the Orient as qi/chi.” Once the secret knowledge of martial artists and the very wealthy of China, Qigong, is today the major health system of China and is practiced by many millions of Chinese who believe if you have to go to a doctor, your medicine has already failed. own qi/ki anywhere, any time. Although “Meditation” is a general term for a wide range of techniques by which practitioners consciously control and direct their attention so a are a sub-category of Traditional Reiki and Qigong practices. Healing Meditations are intended for those with minor to severe medical issues for specific aspects of mind body medicine that teach students to direct the power of their minds to their own healing by showing them how to develop and direct specific mental content that relates to medical issues they are experiencing. The techniques can use visualizations combined with a Reiki and/or Qigong component, custom designed visualizations, or technologies for directing the mind to healing. 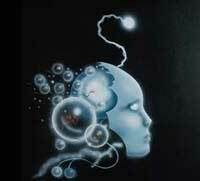 Energy in Synergy Retreats are being designed for the future. It is expected these Retreats will last from four to seven days, depending on the range of skills to be offered and will be held on StoneWind’s campus. The purpose of the Retreats will be (1) to allow students to learn First Degree Reiki, Introductory Qigong, and Introductory Meditation, and (2) give students ample time to ask questions, practice, and become proficient and comfortable in the use of the core modalities. If you would be interested in attending a Retreat, please let us know by filling out the form below on our What we do page to let us know.